Hello everyone... 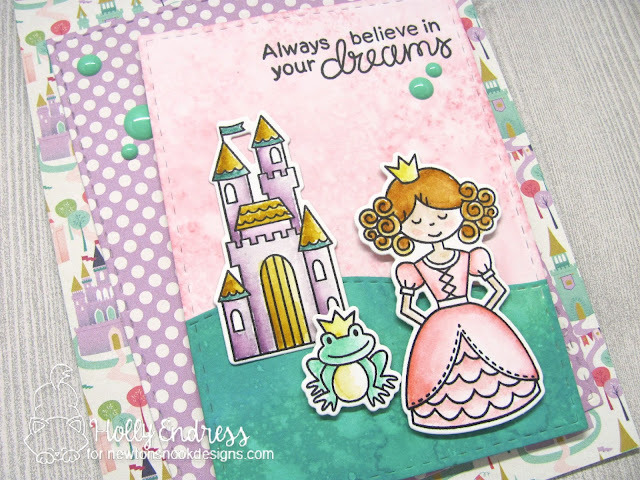 It's Day Two of the August Reveal from Newton's Nook and today we are sharing the Adorable new set Once Upon a Princess and it's coordinating dies. This month's release is full of magic and fairy tales. I started out by die cutting some Fun pattern papers from Echo Park using some Stitched Rectangle dies and layering them onto an A2 sized card base. I die cut a piece of Bristol paper to create the background with a smaller stitched rectangle and the NND Land borders die set. I added some Distress Oxide inks to create the sky and ground area. Would you like to win the “Once Upon a Princess” Stamp Set? Comment on the NND blog and Design Team blogs (see list below)! The winner will be chosen at random from the collective reveal posts. Make sure to check out each of their blogs and comment for your chance to win. You will not know which blog has been chosen so the more you comment on the better your chances are of winning! You have until Thursday August 17th at 9pm CST to comment -- winners will be announced on the blog post on Friday, August 18th. What a pretty card with pretty colors! Fabulous projects! Super cute and sweet! Great use of patterned paper and wonderful color choice! Thank for the inspiration! Very cute card with these fun images and great patterned paper. Such adorable card!!! Really cute!!! Oh my...where to begin....I love your design and coloring on this card. Too bad those papers don't go with the stamps. ha-ha Just messing with you...that patterned paper is perfect for them! Nice work! 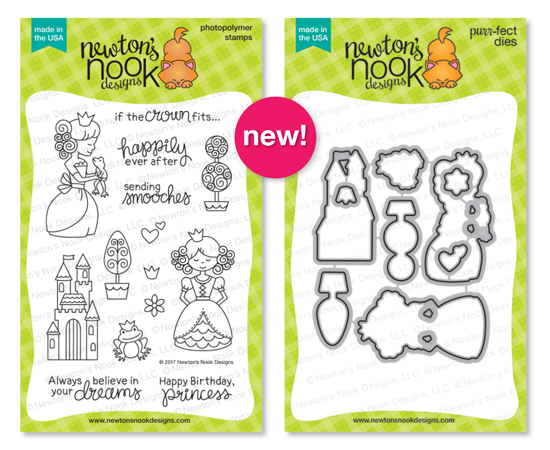 Newton's Nook 2nd day of previews ROCKS!!!! Eek! This is unbelievably cute! Love those papers! Very sweet!! I love how you colored the princess, and the array of pattern paper!! Love the card!!! The coloring and design are lovely. Stunning card! Love that background paper!! I love your beautiful coloring technique and the soft colors in your sweet princess! It looks so dreamy! So sweet. I like your coloring and the layers.